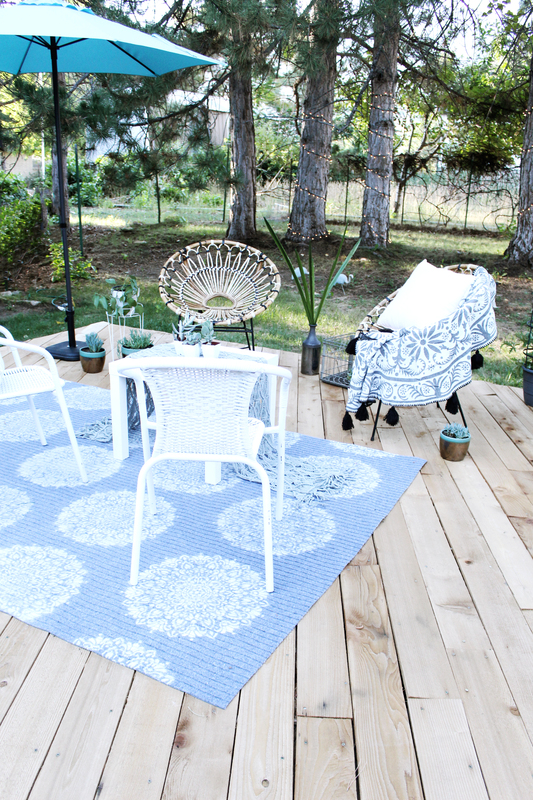 Make your own DIY Outdoor Rug with Spray Paint and Stencil with a little spray paint, and an awesome stencil from Stencil Revolution! 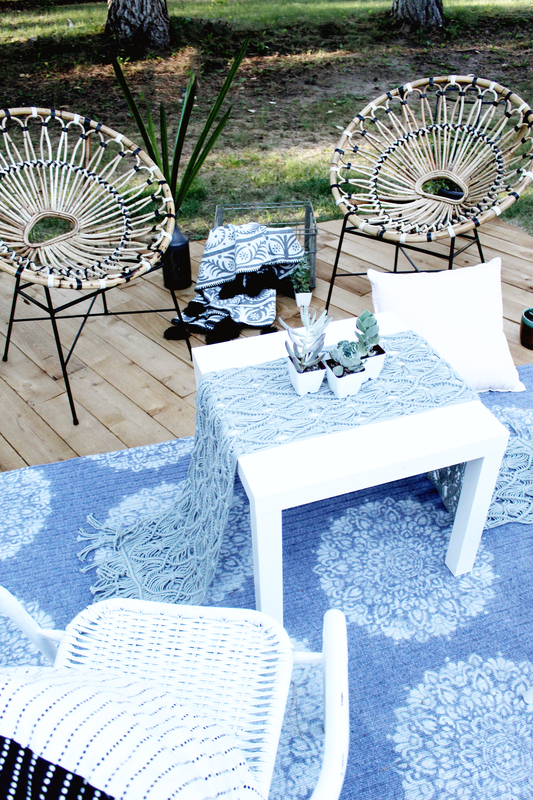 In the new DIY outdoor seating area I shared the other week, I featured this new rug which was actually a DIY! 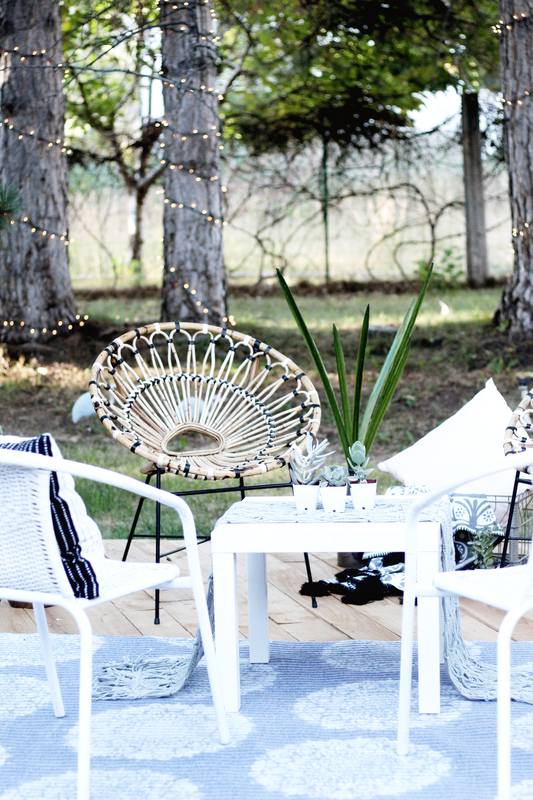 Outdoor rugs can be expensive and hard to find (just like indoor rugs!) and so when I saw this one at Costco earlier in the season for less than $20, I snatched it up! At the time, I had no idea it’d turn into this beauty! In fact, I had no idea it’d have such a lovely deck to sit on top either! As I mentioned in that post, the deck sort of just came together last minute and I decided that all the beautiful furniture I got, from Article, needed to have a prettier rug than just a simple ribbed gray one. So, when I got an email from Stencil Revolution, I knew exactly where I would use one of their amazing designs! 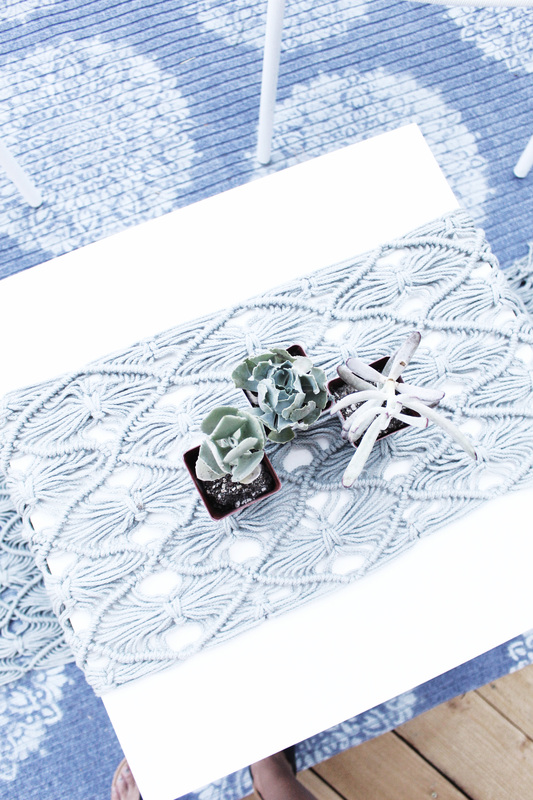 I knew it wouldn’t be hard to make my own DIY outdoor rug with spray paint and stencil! And it wasn’t! It only took me maybe 30 minutes and 2 cans of spray paint. Now I have a large outdoor rug, 6×9, for about $40! The price makes me happy, and the finished design does too! 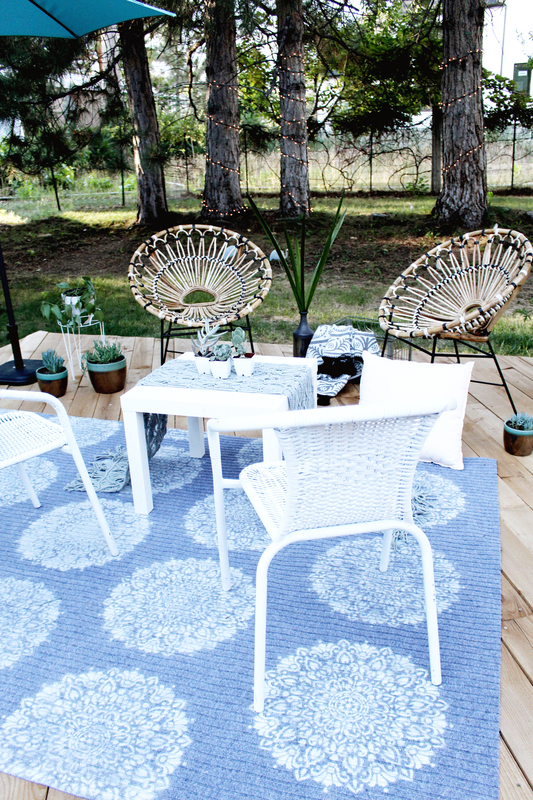 If you want to do your own diy outdoor rug with spray paint and stencil then follow along the steps below! Its actually pretty self explanatory, but I’ve included pictures and steps anyway! 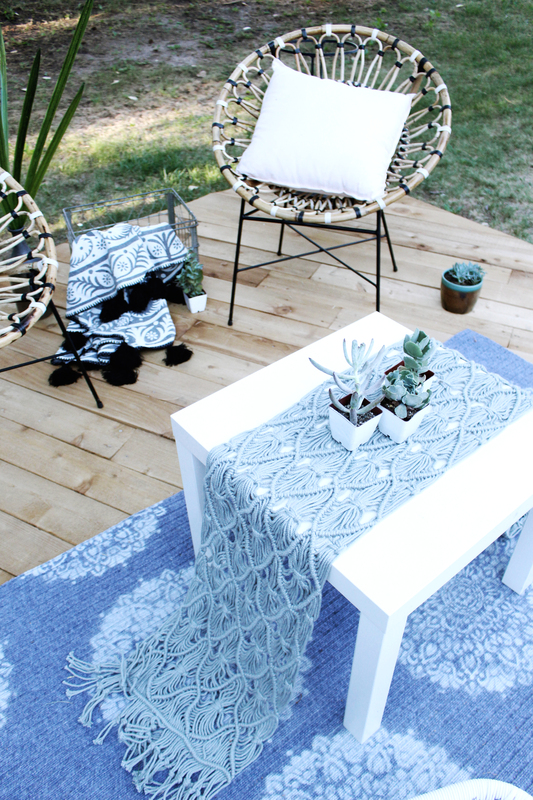 I hope you can use this tutorial to make a great outdoor rug yourself and save some money! Lay out your rug and decide on spacing. I didn’t make this too hard on myself, I just measured and started right in the middle, then moved along from there! Lay down stencil and use old towels, newspaper, or other fabric you don’t care about to cover the edges of the stencil so there is no overspray. I taped old towels down to the edge of my stencil. This made the whole thing easy to move around! 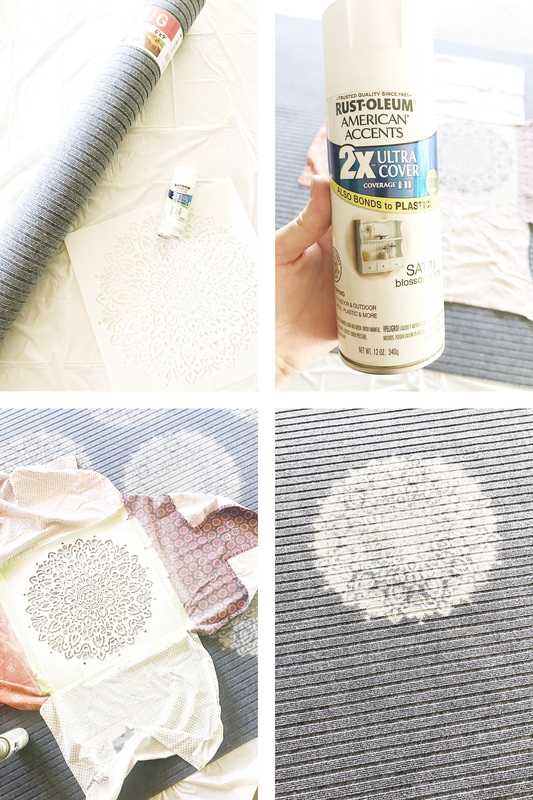 Spray paint over your stencil! Once you’re happy with the saturation of paint, move the stencil to the next spot and repeat! What a lovely space! We really need some more rugs right now so I need to check out those stencils!